The TCA secretary Dharam Guruva Reddy said that a communication from the CoA, via an email, has been received in this regard. (From left) TCA secretary D Guruva Reddy, vice-chairman Konda Vishweshwar Reddy and president Yendala Laxminarayana. Hyderabad: In a major boost to the Telangana Cricket Association’s (TCA) efforts to get the affiliation from the Board of Control for Cricket in India (BCCI), the Committee of Administrators (CoA) on Monday invited the representatives for a meeting at its headquarters in New Delhi on May 30. “We are very happy with the latest development. The CoA has told us to send a delegation to New Delhi on May 30 to discuss the associate membership to the Telangana Cricket Association. The CoA has also informed the Hyderabad Cricket Association (HCA) to send their delegation to represent their case. The HCA has written a letter to BCCI asking not to consider our request for a separate association. So the CoA has given them a deadline of May 23 to send a written report on their objections,” he said. Earlier, Guruva Reddy said that they have been striving hard for affiliation since 2014 and the Bombay High Court’s order (on May 3) where they asked the Indian cricket body to discuss the issue before June 15 is a good news for them. “We have been conducting the tournaments in districts since 2014 and we have our teams ready in Under-14, 16, 19, 23 and Ranji Trophy teams who will be playing the BCCI 2018 domestic season if we get our affiliation. “But the HCA has been trying to stop this. We are not fighting for a full membership and we have a provision to be an associate member. So we are no way working against HCA and I don’t know why they are doing this?” he asked. 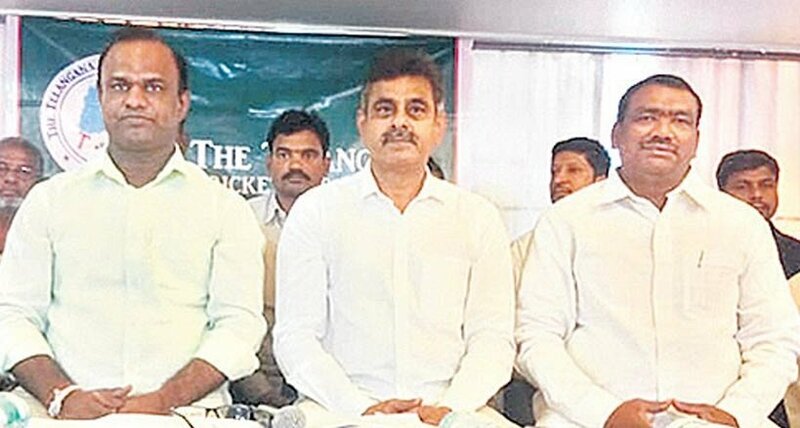 TCA vice-chairman and Member of Parliament Konda Vishweshwar Reddy clarified that they were not fighting against HCA. “HCA itself is in deep trouble. We are working for the grassroots development of the game in the districts. HCA has done nothing but they have submitted fake documents to the BCCI showing that they were conducting tournaments in the Telangana State,” he added.